And with that Ramya folded the first letter and put it in a separate drawer in her table. “Thanks a lot for agreeing to meet me at such a short notice,” Ramya spoke politely, the woman across registered no acknowledgement of the appreciation. She only tapped her fingers on the table impatiently, subtly indicating her need for an end to the meeting. “Did you know Mallika while she was alive?” Ramya came straight down to the deal. “I had heard of her. She was famous. A regular for Suyash’s client. No one really knew from where she had come or how long she had stayed in here. They say she had come here to be a writer,” the woman spoke in bland tones. A writer. Imagine that as a career and landing up in this place, Ramya thought silently. “Anything else? Did she have friends? A relative perhaps? Someone?” Ramya continued. “No friends. No known relative at least. She did teach a couple of kids at home. The ladies in the area sent their kids for tuition to her. Yes, they can in fact give you more details,” she suddenly raised her volume to reflect upon her sudden realisation. “Can you give me their phone number please?” Ramya posed the question in a soft voice. I just re-read the last letter. There is so much of drama in it. Why should I talk about my death in the first introductory writings. Writings. Did I tell you I am a writer? Yes I am. At least not in the published range or anything, but for the love of it. Writing is for me what perhaps flying is to arctic tern. They never quite get bored of it too. I was ten when my parents had died. Post that, I lived with relatives, sometimes friends and for a few days with a boyfriend too. And they all sort of left me hanging. But this pen and paper has remained always. In times when there was no one to speak to, like now, they have been the perfect companion. I am trying real hard to get something substantial out of my works. Do you read? Have you ever gone through Vikram Seth’s A Suitable boy? Its description of an Indian arrange marriage setup is flawless. Or Shantaram, you would begin to see Bombay in a different light. Ahh I cannot call it Bombay anymore. Its Mumbai. But then I might be boring you, what if you are not at all interested in writing or reading. No? But there must be something you are interested in. Something that gets you going each day. A fire must be running in your heart to achieve it, for if you don’t there is nothing in your life worthwhile. What is it? What makes you tick? Does it also give you sleepless nights? Does it make you stay in a place worse than a pigeon hole? Does it make you wish each day for a different tomorrow? Is it the only thing that stops you from giving in? Has it made you go paths and ways where no one like you should ever go? Does it force you to believe people you would have otherwise not spoken to?What is your purpose in life? Because all of these things have happened to me. And are still happening to me. I am jobless, money less and I am scared also worthless. If I don’t do something soon my options will zero in towards a dismal future. Okay so much for today, I need to go and meet Suyash. Perhaps someday I will tell you his story. “Hello, Shekhar. Can I ask you something? What is your purpose of life?”Holding the phone in one hand and eyeing the letter on the table, Ramya spoke these words with some confusion. And yet again I am taking part in Ultimate Blogging Challenge. I am going to blog each day of this month one part of the story. Like last time in July I could manage it only because many of you were there to support and motivate me, this time round too I would need your help. Looking forward to your opinions, feedback and most importantly involvement in my new endeavour. If you are also taking part in UBC October, please do drop in a comment below so that I can keep track of your posts and we can all together celebrate this month long challenge. 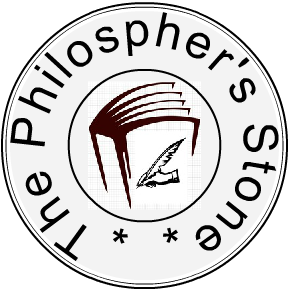 Have you found ‘The Philospher’s stone’ on facebook? The 30 part story that floated around here in July is now up for a download. A quick response will be given for sure. Its becoming slightly mysterious.The letters I mean. Hmmmm…. a writer!! Hurry up lady, need to know lots more about this mysterious woman! oh my god…why do I feel that even Suyash has a sorry side. Purpose of lays life…. something I keep asking myself too.. I started emphatizing with Mallika on the futility of life and surprises life throw at us.